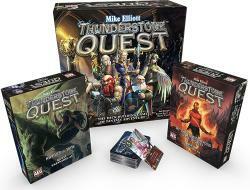 Thunderstone Quest comes to your local store this November! Thunderstone Quest is the third edition of the classic deckbuilding game of dungeon adventure. Featuring new and exciting elements such as Guilds, Side Quests, and more, fans and critics have called Thunderstone Quest the best edition ever. Recruit your party and hit the dungeon. It's time to get some loot! 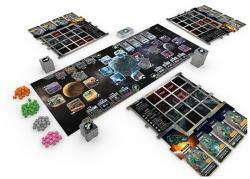 Note: The above photo also features two expansions that will release in early 2019. 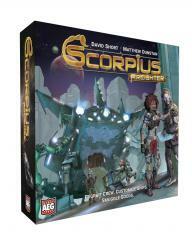 Scorpius Freighter puts you at the helm of a starship smuggling cargo through the dangerous Scorpius star system. Command your unique crew and attempt to make a name for yourself as you smuggle goods below the radar of the oppressive government. But beware, every action taken by each player draws the attention of the authorities. As actions move the government patrol ships around their orbits, you push the game closer to its conclusion. The kitties return! 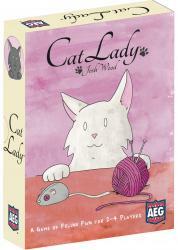 Cat Lady is a fun and fast set collection game for young and old alike. With cute art and easy play, Cat Lady has been a hit with gamers and non-gamers alike. Cat Lady is available now. Click this link to learn more about Cat Lady!